It’s nearly Christmas!! We’re getting excited here in the CPC office and have decided to share that excitement with you! DIY Christmas gifts! Christmas is a time of family and gift giving, and pets are every bit a part of our family. So much so that they deserve their own presents! 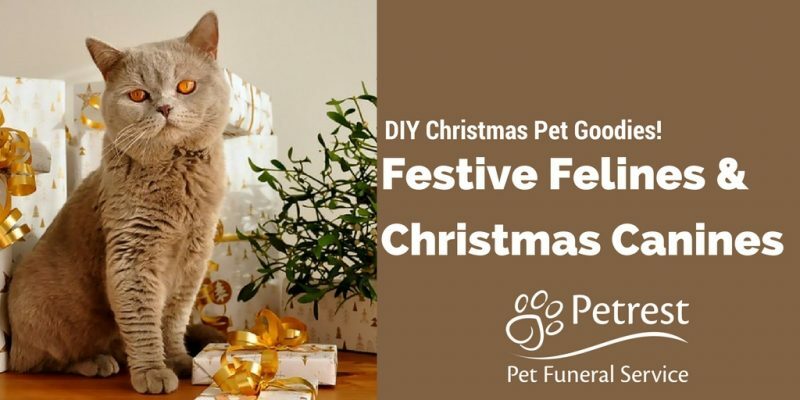 We had a quick look round online to find the best DIY Christmas gifts for your dog and cats. We’ve found everything from wearables to stockings, ornaments and bedding. Just the stuff to make your pet feel totally involved! Is your feline fashion fierce? Maybe your dog is a dapper dame? Ok we’ll stop with the bad puns! Here are some really cool wearables we’ve found for you to give a try! Everything from “that’s smart” to “aww how adorable”! 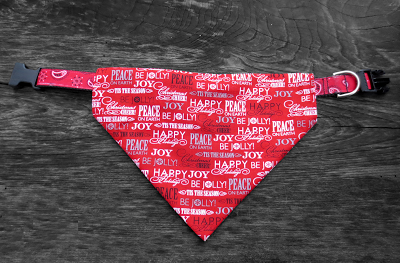 This bandanna from Southern Wag is really easy to make and can be jazzed up with bells and tinsel to give your festive feline or Christmas canine an outfit to be proud of! 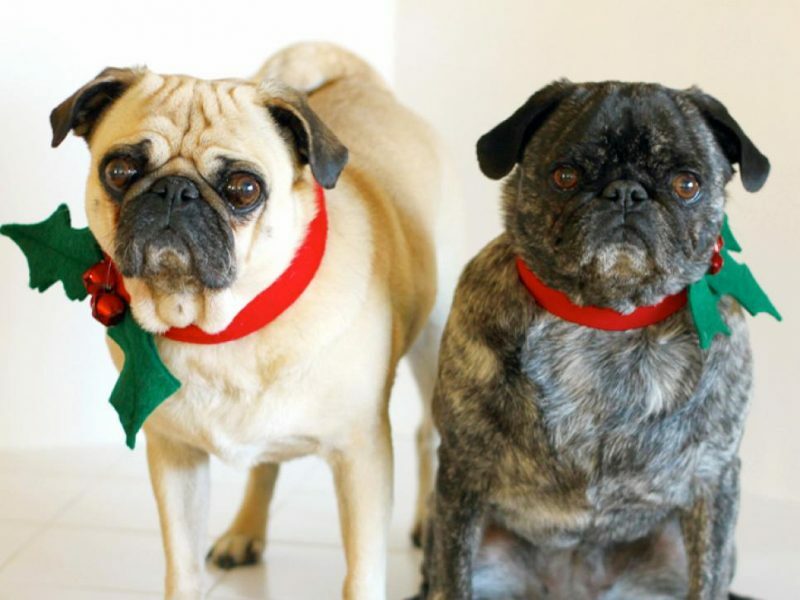 There’s something about these Holly Leaf Collars from DIY Network that just makes us go “awww!”. Suitable for both dogs and cats, we’re sure you could make mini versions for all sorts of pets. Bonus points to the first bearded dragon in a holly collar! 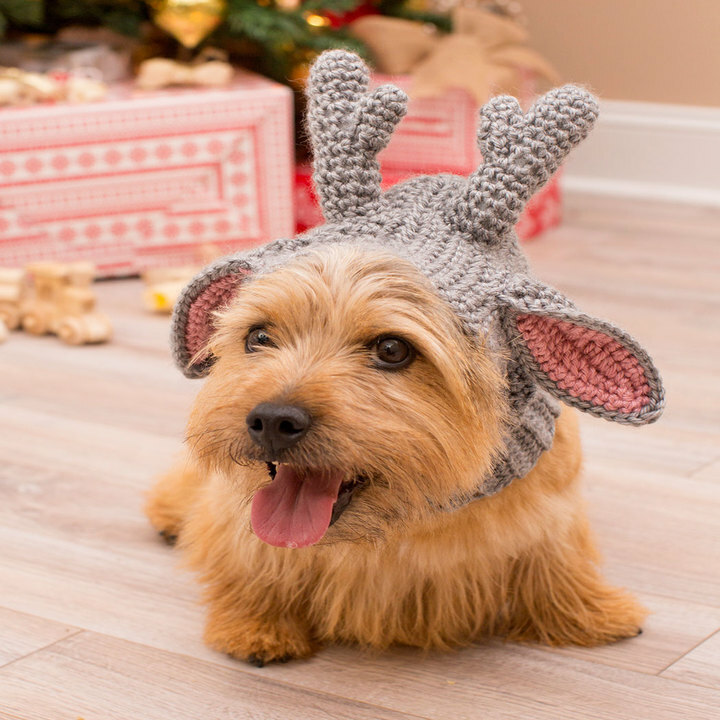 Another one from Redheart.com, this doggie deer snood looks so cute, we couldn’t pass it up! 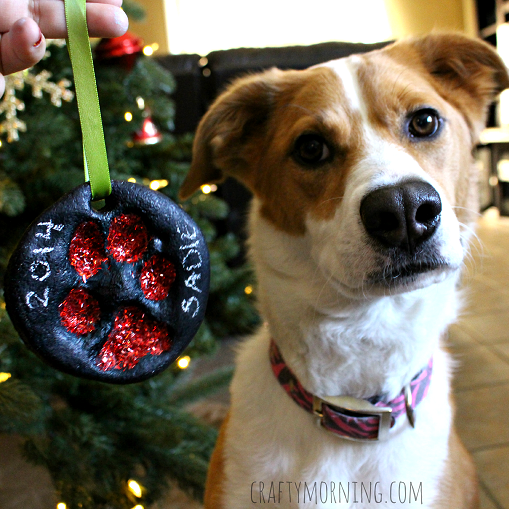 We’ve got some cute DIY Christmas ideas for some pet themed decorations for you. Make them part of your family Christmas with these DIY ideas! 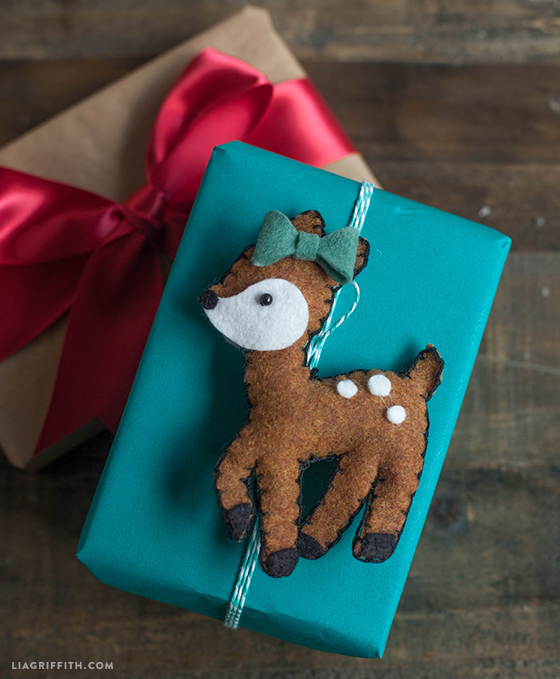 Lia Griffith has some really great felt ornament ideas to decorate your home. Once you’ve got the hang of them, you could create a whole felt animal scene! You’ve got the fairy on the tree, bits of pasta decorations that the kids made at school and everyone has an ornament with their name on it. What about your dog? 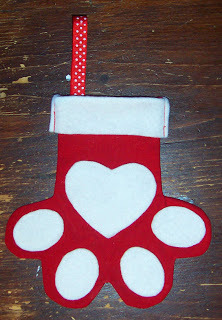 Here’s a great idea for a salt dough ornament made from the paw print of your dog (or cat if you can get hold of them!). Check out the instructions on Crafty Morning. Everyone got a stocking for Christmas Eve? What, no stocking for Fido and Felix?! Ranging from easy right up to complex, we’ve got idea to keep even the craftiest of crafters happy! Give these stockings and beds a go. 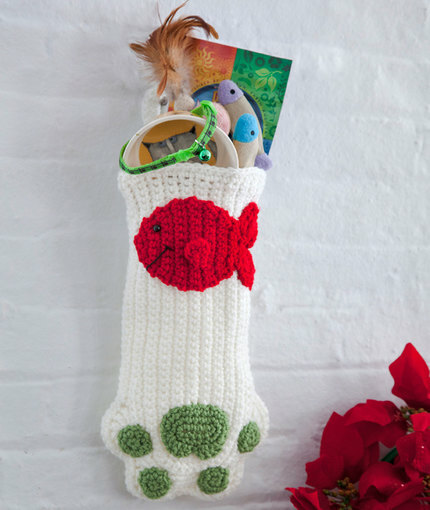 While this set stocking may look a bit complicated, Handmade Cuddles takes you through all the steps to create this really cute paw print stocking for your pet’s presents! 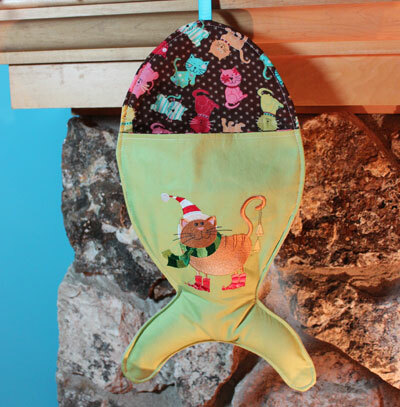 Fancy giving Kitty a stocking all of her own? Check out Embroidery Library’s pattern. This one is a bit more complicated, but the results are worth it! 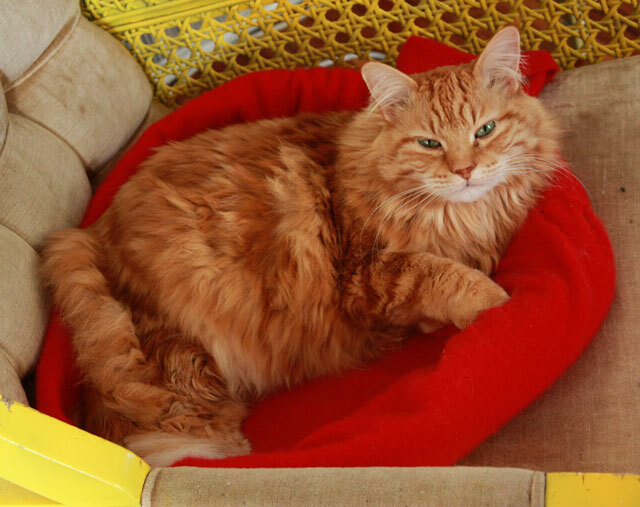 Does your posh kitty need a cashmere cat bed? Aunt Peaches has just the thing, made out of an old jumper! Hardly any sewing, this project is really simple! We found this little gem on our rounds. A little something for you, or even as a toy for your cat! Fancy a little cuddly version of your moggie? 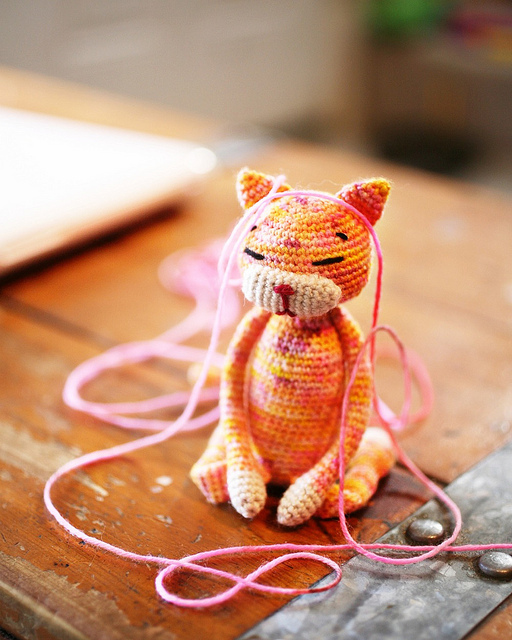 Give this DIY christmas crochet cat a go with instructions from Handy Little Me! We hope you enjoyed our Christmas gift ideas! We would love to see pictures of them – you can share your pics with us on Facebook! Remember, the most important gift you can give your pet is lots of love and cuddles!